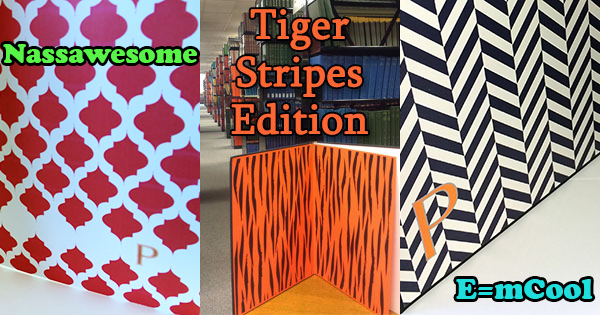 We’ve been printing and binding Princeton University theses for over 25 years! Maintaining and complying with the high standards expected by Princeton University is not simple, but we make thesis printing our top priority to help students receive the quality and fast binding service they deserve. We recommend you start planning to print and bind your thesis at least 10 days in advance from your due date, to ensure your thesis is ready in time for submission to Mudd Library. Turnaround time depends on your binding requirements. For Sewn Bindings expect 4 days minimum. To Get Started: Upload your PDF, choose your options, preview, and submit. Contact us if you need help converting your file to a PDF. Turnaround: Sewn theses turnaround is approximately one week. Please call store for details. Our stitched bindings are custom fit to your thesis and use the finest quality archival materials, ensuring your thesis meets the standards required for Mudd Library submission. These are available with or without foil-stamped lettering. We also offer a variety of quick-binding options that can be produced in a matter of hours. Covers can be stamped with a gold foil university logo with your title, name, and year. This is our most popular binding choice but can not be submitted to the Mudd Library at Princeton University. We carry the highest quality archival thesis papers that satisfy the Princeton University Requirements. Choosing a higher quality paper not only looks more professional, it will help extend the lifetime of your thesis! 100% Cotton -- A 24# acid-free, pure cotton sheet. Smooth finish for high-quality copying. Can be used for both color and black and white copying. 25% Cotton -- A 24# acid-free sheet. Smooth finish that is a little less expensive. Glue Binding - We offer a variety of glue-bound soft and hardcover books with gold foil stamped titles. These can be produced in 4 to 6 hours. Call 609-924-4630 to advise us of your needs and to receive a confirmation. Rush orders available for additional cost. Sewn Binding - While your copies may take only hours to produce, the binding operation will take more time. We use local binderies and the turnaround time is 4 days for Library Standard Binding, and 5 days with a title. During Rush Periods, the bindery will deliver books in accordance with your department schedule. Please schedule your job with plenty of time to meet the pickup deadlines. Rush orders and shipping are available at additional cost.